Finding a comfortable and spacious place to stay in New York City can be extremely tricky. Luckily, this fantastic Brooklyn 2-bedroom, 1-bathroom vacation apartment has enough sleeping arrangements for up to 4 guests, making it an ideal choice for a family or group of close friends searching for a cosmopolitan experience. Situated on a verdant street in the heart of the city, this lovely residence will serve as the perfect home base for your next Big Apple vacation. As soon as you first arrive at this historic landmark, you'll simply fall in love with the brownstone building's charm, evoking a truly urban feel unique to New York. Inside, this recently remodeled unit has everything you need to feel as comfortable as possible during your stay, including wireless internet access, central heating, and 2 flat screen cable TVs to appease your entertainment needs. After a long day exploring Times Square or other notable attractions, walk up the stairs to your home-away-from-home and gather with your travel companions on the comfortable furniture in the living room while admiring the spectacular scenery, framed by the room's large window. This massive window floods the interior with an abundance of natural light and offers gorgeous views of the lush neighborhood. When you're not out enjoying the tasty local fare, utilize the home's fully equipped kitchen, complete with granite countertops and brand new stainless steel appliances. Later, when you're ready to call it a night, retreat to either of the apartment's inviting bedrooms, both offering cloud-like queen-sized beds, to rest up for the next exciting day! You simply can't beat this apartment's idyllic central location on the greenest block in Brooklyn. Regardless of how you choose to spend your time during your visit to New York, your trip is sure to be a memorable one when you stay at this fantastic apartment! From here, you'll be within walking distance of countless parks and restaurants - be sure to try Manny's, Peaches, or Saraghina for an authentic taste of New York's delicious cuisine! You'll also be only 2 miles away from the renowned Brooklyn Botanic Garden, where you can immerse yourself in stunning natural beauty in the center of the Big Apple. To reach any of the city's leading attractions, hop on the multitude of nearby public transportation choices to easily access Central Park, the Museum of Natural History, the Statue of Liberty, and many other major draws in minutes. If you feel like experiencing the city on 2 wheels, a brand new Citi Bike stand is located just a short 2-minute walk away from the unit. 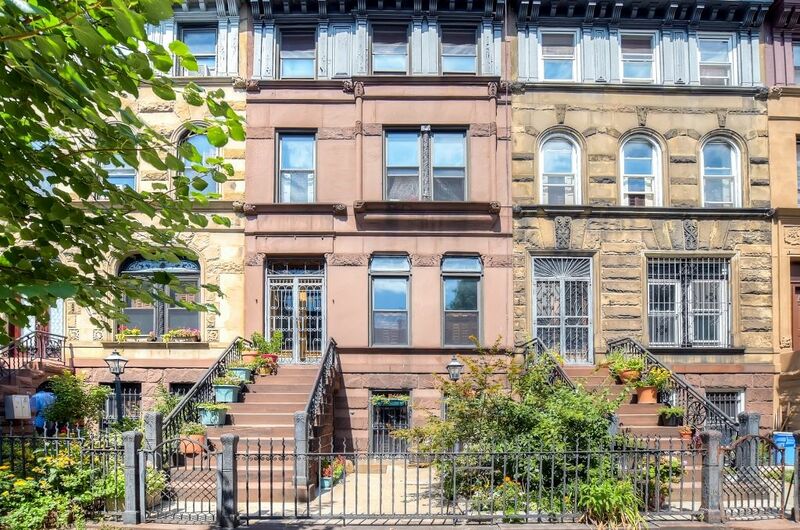 - Spectacular location on the greenest block in Brooklyn! Walking distance to parks, restaurants, and other attractions. Enjoy easy access to New York's countless renowned attractions via several surrounding public transportation options! Clean, quite and comfortable. Staff is accommodating to your needs and responds to request in a timely manner. Location is perfect for commute into the city. Great location, exactly as presented. We loved this brownstone. Easy access to the subway and safe, quiet location. Additional suggestions would be to add mirrors in the bedrooms. The area rug in the living room needs to be cleaned. May was attentive and directions were clear. Great property and a great location! Property was clean and comfortable. Close to subway- very convenient. Perfect for our family of four. I would recommend adding a mirror in bedroom. Bainbridge St was a haven to come home to after a busy day of sight seeing in Manhattan. Such a lovely quiet neighbourhood. Fabulous place! Clean and well equipped and the beds were very comfy. We were not given the address until we had paid the final payment. The address was finally given so we ONLY then did we see HOW INSIDE BROOKLYN THIS PROPERTY WAS...not easy to access to Manhattan...several blocks at night to exit the closest subway and walk in a NOT so settled neighborhood....it is a "developing" neighborhood...at best. Our REAL complaint is that we each arrived and had only one suitcase plus a purse. There are aprox 6-8 steps outside to begin...THIS IS NOT A PROBLEM.